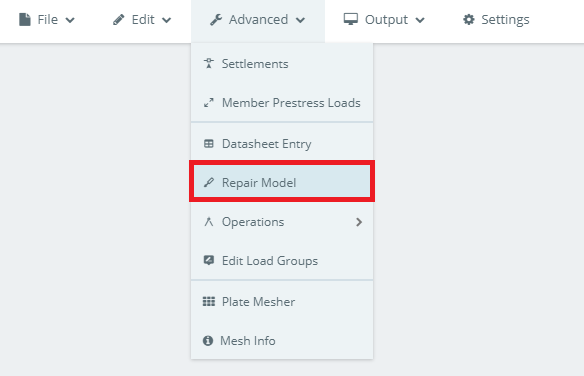 The repair model feature offers a number of useful functions that can help fix your model. These are generally separated into functions for nodes, members, and plates. 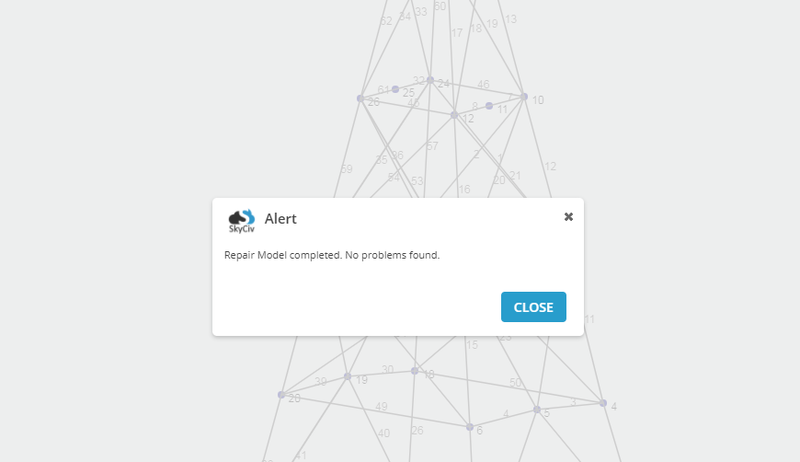 You can access the Repair Model feature in the “Advanced Menu”, however Repair Model will automatically run everytime you solve to ensure the structure has been checked prior to solving. 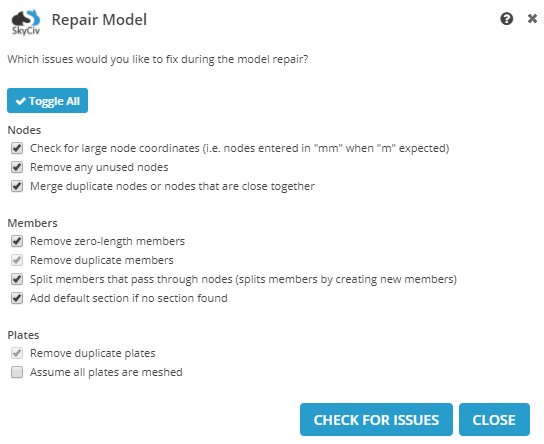 The options that are available for the repair model feature are shown below. After you have selected the functions you wish to run, click “check for issues” to run these functions. An alert will show up either showing you the changes that were made or if no changes needed to be made because no problems were found. Unmeshed plates can cause inaccurate internal plate forces and are critical if you are looking to analyse any plate forces. 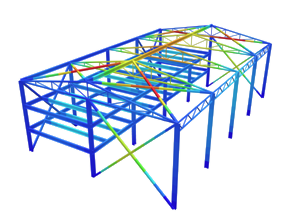 The Repair Model function will scan your model for any plates that have not been meshed and notify the user of any unmeshed plates. The user then has the option to ignore such plates (assume they are meshed) to repair this issue in the model.